A tool for creating e-government applications, based on business processes and steps, automatic code generation and incorporation of Once-Only-Principle (OOP). A single public service portal in any governance domain, aligned with the One-Stop-Shop (OSS) principle. A unique and robust technology platform that enables simple and secure, integrated and sustainable applications to be created and run electronically. Functionality of migration data from one database to another. Module of the cloud infrastructure, which allows the sysadmin to create, manage and monitor the resources associated with a particular VDC. Core management modules such as access control, menu, users, domain, and page sharing between applications. Documentation about igrpweb and help in its use. Allows Single-Sign-On (SSO) authentication between applications. igrpweb is made available as a Platform as a Service (PaaS), and is required to ensure the dynamic provisioning of resources on demand, centralized management of services and resources, a single authentication service (SSO) and access from the Internet. One of the great benefits associated with SaaS is that innovation can be done at a much lower cost, at a faster pace, and with much less risk. 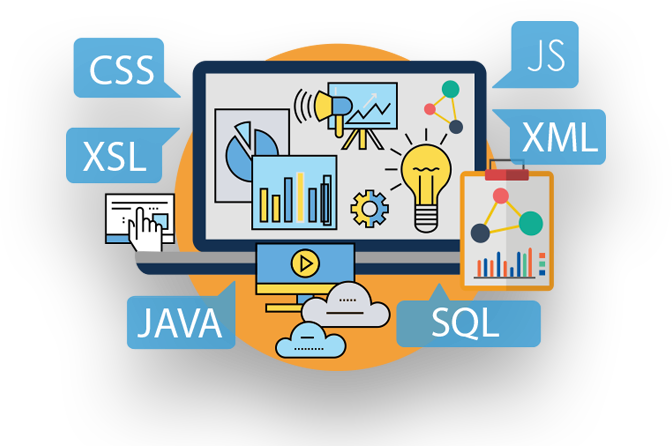 Transparent and auditable development process through several Logs allowing all actions performed in the application to be completely traceable. The service can never be interrupted for non-payment. The relationship with our customers always comes first. The security of the applications developed at igrpweb is a subject of capital importance for our team, so our interest to follow the best practices in security. A powerful code generator for creating complete web applications securely and quickly, increasing productivity and reducing costs. igrpweb also allows you to integrate applications created on another platform, while sharing an access session between them, and guaranteeing SSO. A tool for creating e-governmenr applications, based on business processes and steps, automatic code generation and incorporation of Once-Only-Principle (OOP). Who can use or purchase igrpweb? igrpweb is available to all public service providers to citizens, such as government institutions (governments) and local authorities. What are the advantages of igrpweb? Applications: Allows you to independently create an unlimited number of eGovernment applications. Code Generation: Ability to automatically generate 80% of the code so the customer can focus on the other 20% by customizing the application to the needs of the organization. Drag and Drop: The design of UI, processes and reporting can be done with a simple drag and drop. Low Cost: The low cost model ensures sustainability with an affordable and scalable solution. Always available: The service is never interrupted for non-payment. Security: Data security and auditing of data access at any stage of the process. Integration: Ability to integrate and interoperate with all native applications as well as third-party applications. What is included in the igrpweb subcription? User and password. Access to sysadmin that serves as the main account for assigning users and managing access in different environments. VDC. Virtual Data Center with 3 environments (production, development and test/staging) pre-defined with vCPU, memory and storage. The VDC available, is configured with 4 vCPU, and 8GB of RAM for each environment. The total storage is 175GB, with 25GB being assigned to the production environment, 75GB to development and 75GB to test/staging.